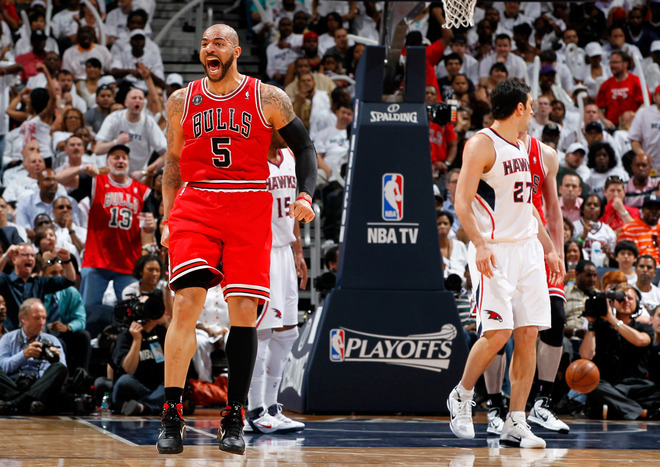 Carlos Boozer finally steps up in a big game to help earn the Chicago Bulls a trip to the Eastern Conference Finals. 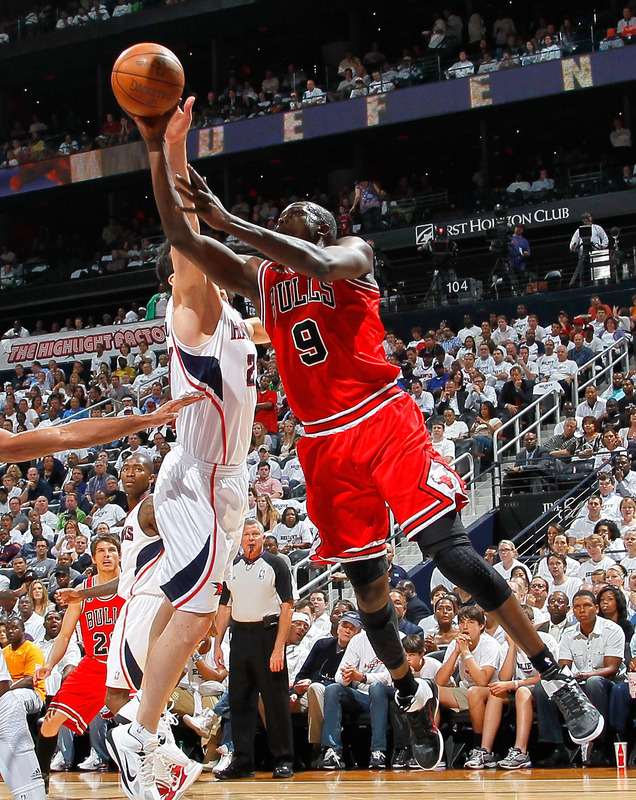 After seeing how the first few games in the series turned out, many thought this second round battle between the Hawks and Bulls was going to 7 games. 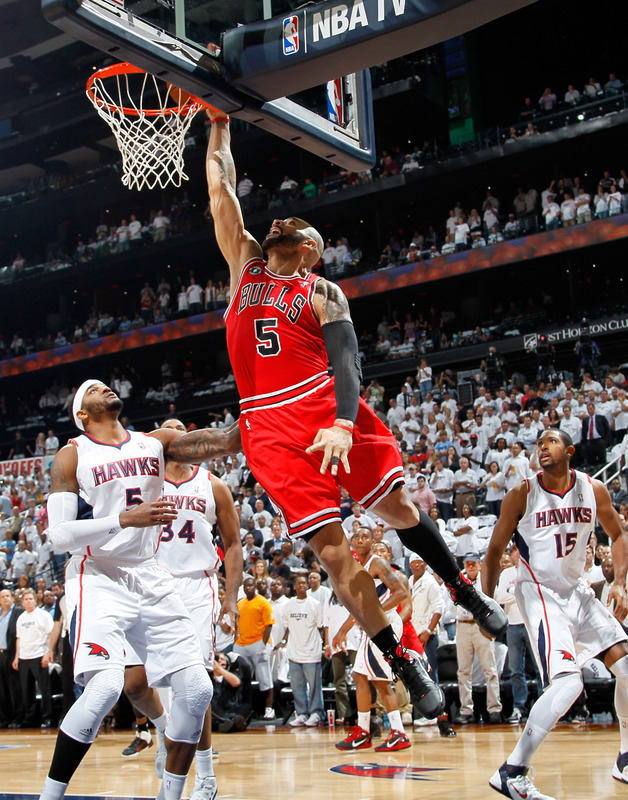 However led by their MVP, Derrick Rose and a big game from Carlos Boozer, the Chicago Bulls were able to close out the series early in 6 games. 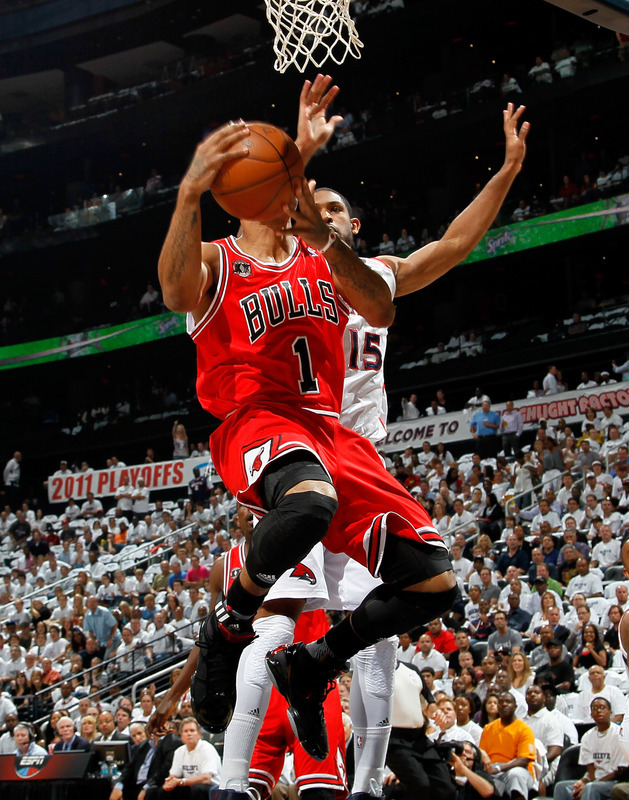 Boozer was able to shake off some early series struggles as he came through when needed most, putting in 23 points and grabbing 10 rebounds to lead the Bulls to victory. 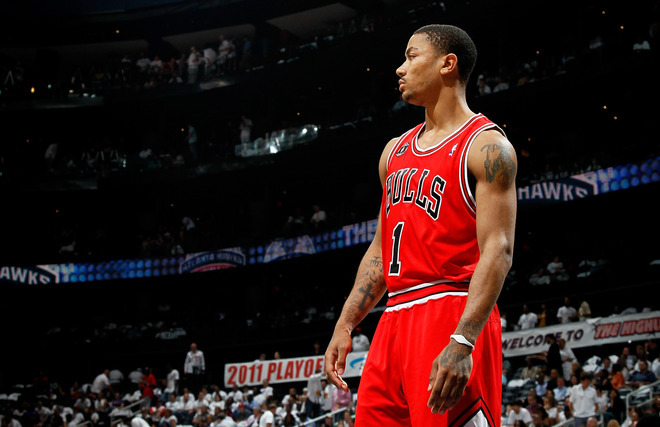 Notable footwear in last night's game included Derrick Rose continuing to hit the court in the adiZero Rose 1.5, along with his teammates opting for Nike Basketball's latest offerings like the Nike Hyperdunk 2010, and the Air Max Fly By. And although the Hawks were on the losing end, they did hit the court in some impressive footwear. 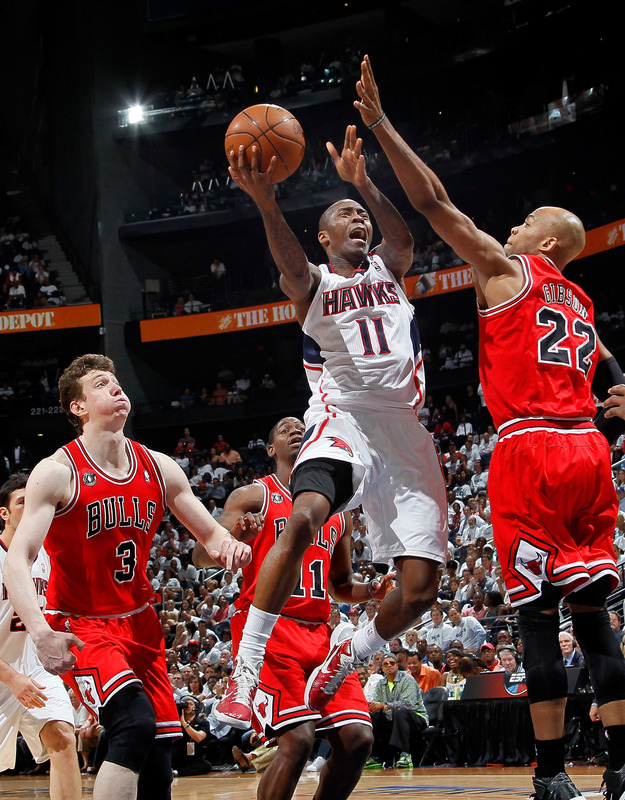 Continue below for a look at the Hawk's choice of footwear and more as part of today's SC NBA Playoff Sneaker Watch. 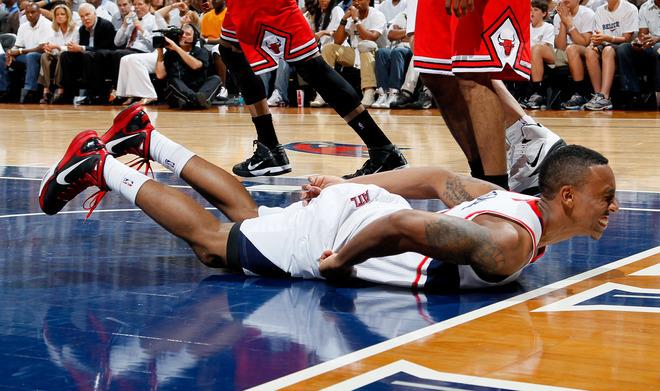 Jeff Teague hits the deck in the Nike Hyperdunk 2010. Josh Smith goes up in the adidas Pro Model 2010. Jamal Crawford continued to wear the same exact pair of the Nike Hyperdunk 2010. 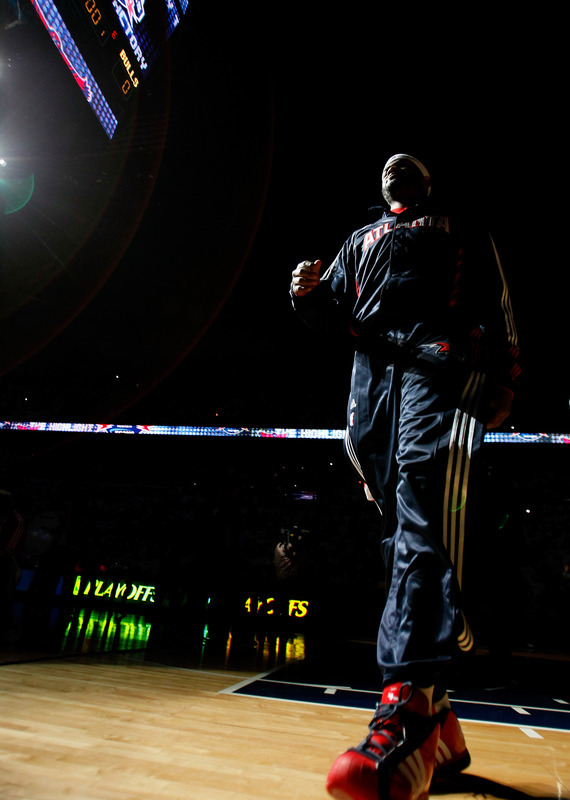 Another look at Josh Smith in the adidas Pro Model 2010. 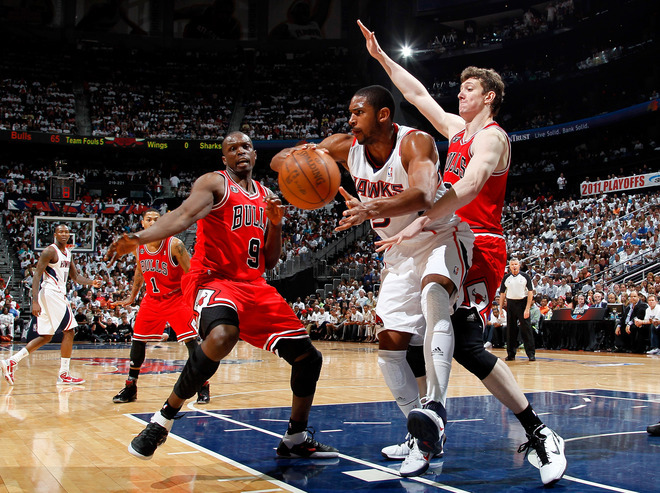 Al Horford ended the season in the Nike Air Max Fly By. 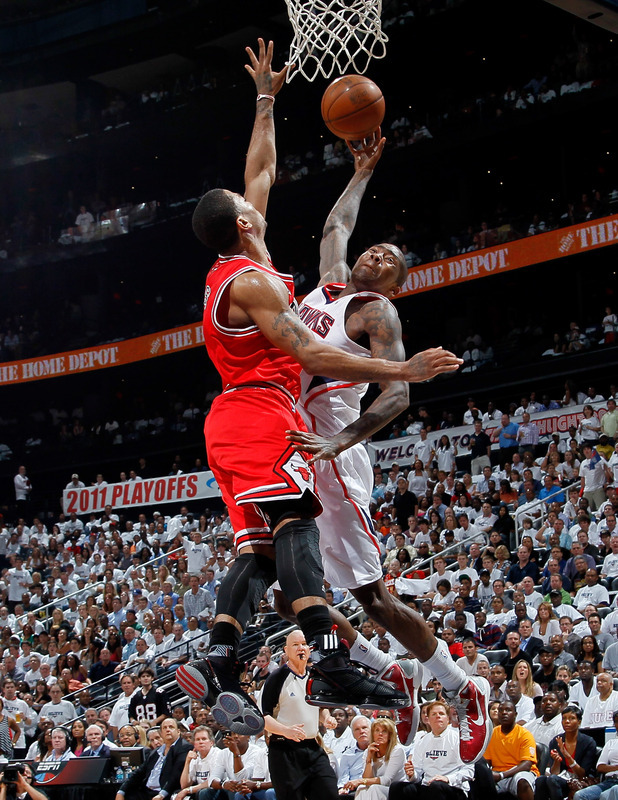 Carlos Boozer in the Nike Hyperdunk 2010. 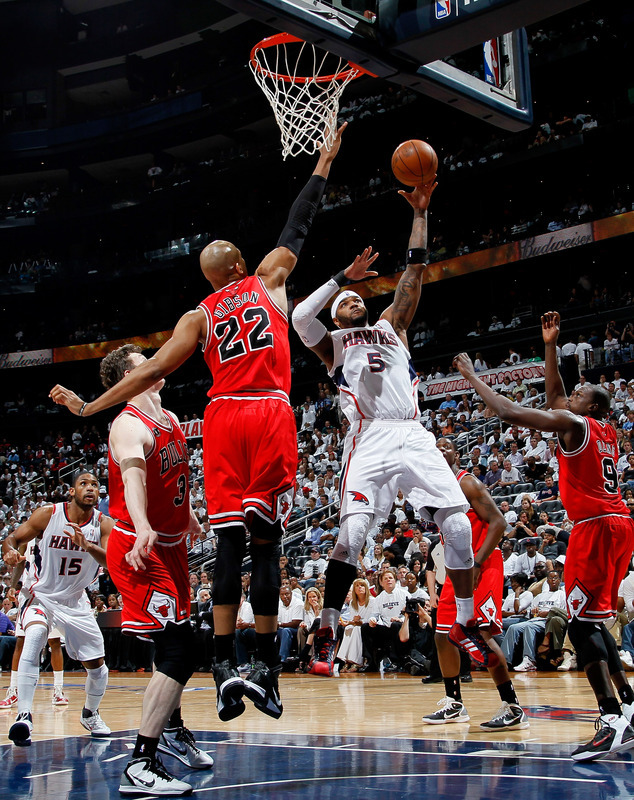 Carlos Boozer had a huge game in the Nike Hyperdunk 2010.